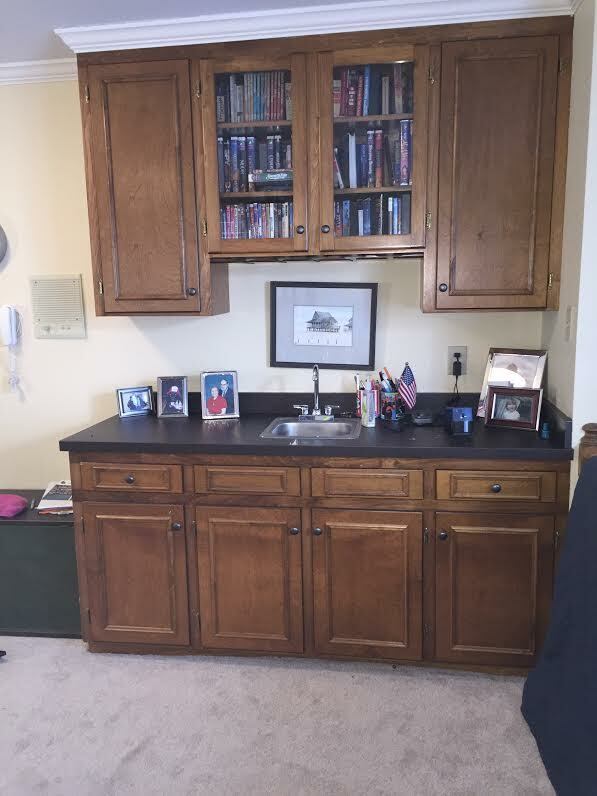 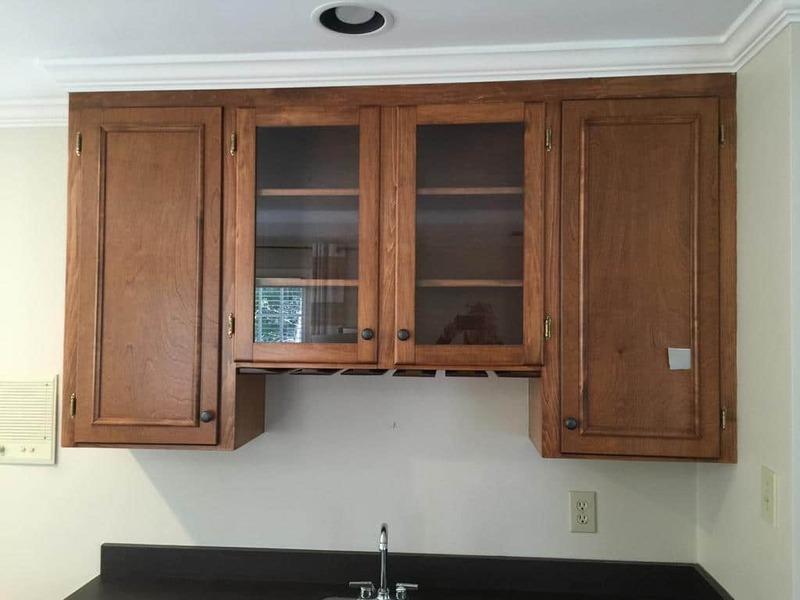 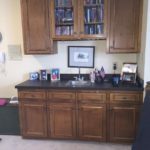 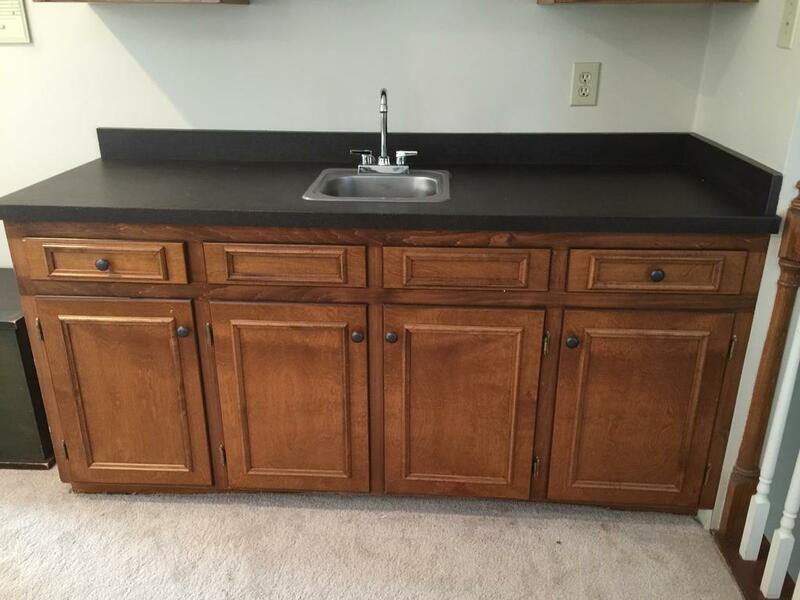 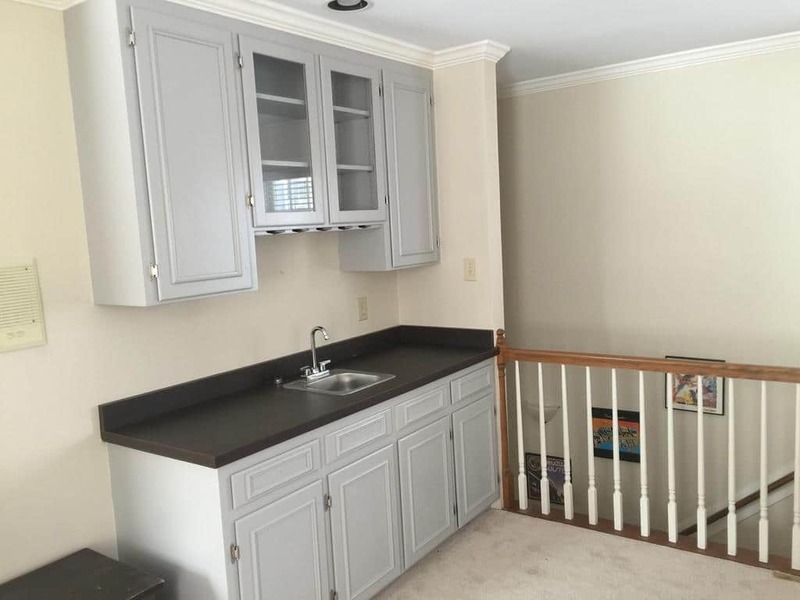 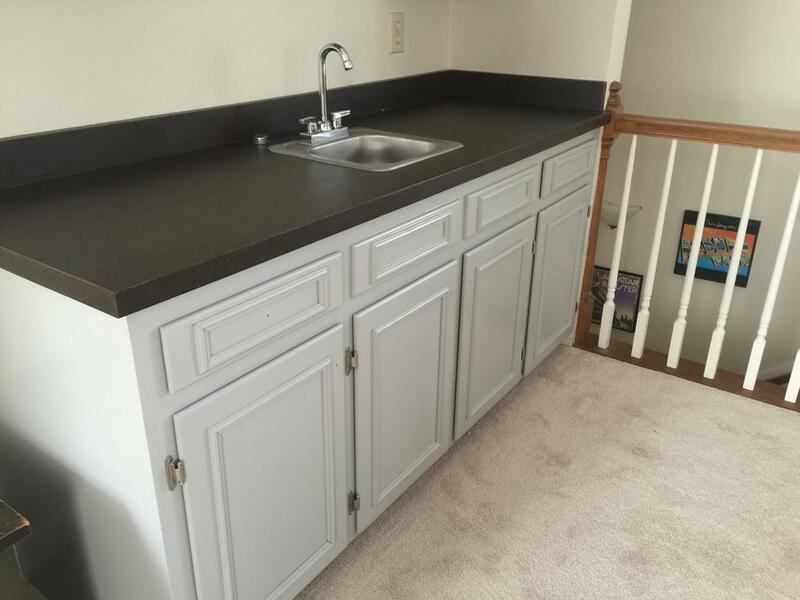 We updated the bonus room wet bar with SW Pussywillow. 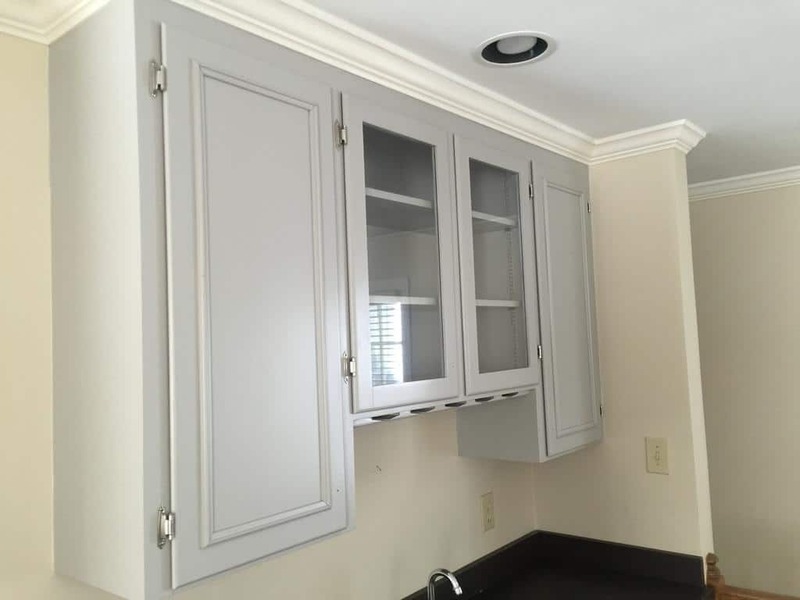 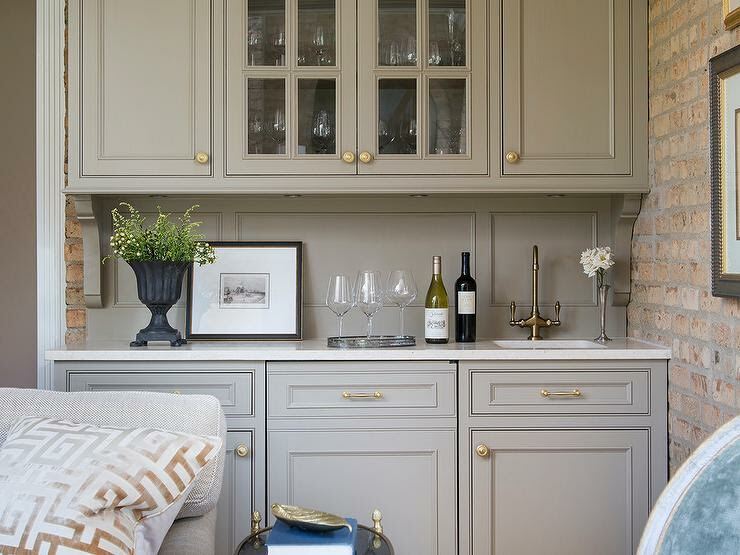 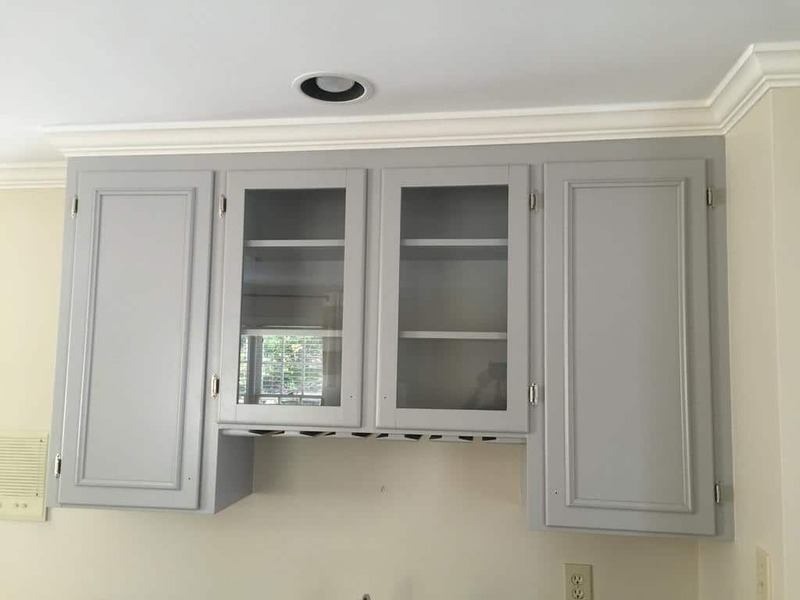 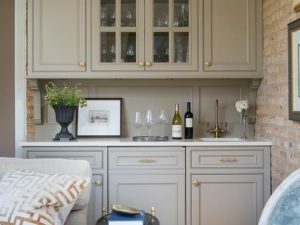 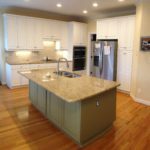 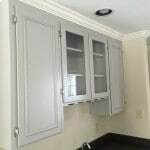 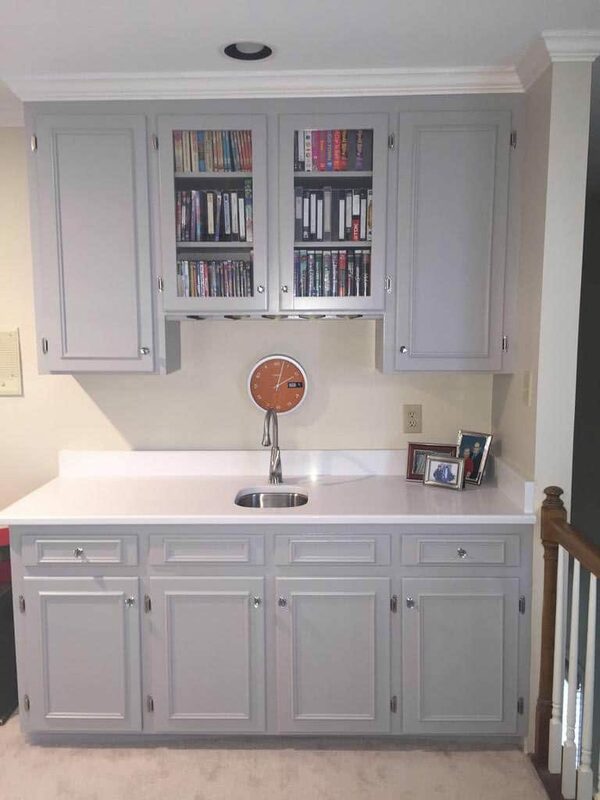 This lighter shade of taupey gray paint and new brushed nickel hinges make the bar area very modern and stylish. 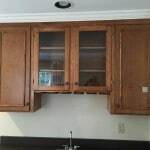 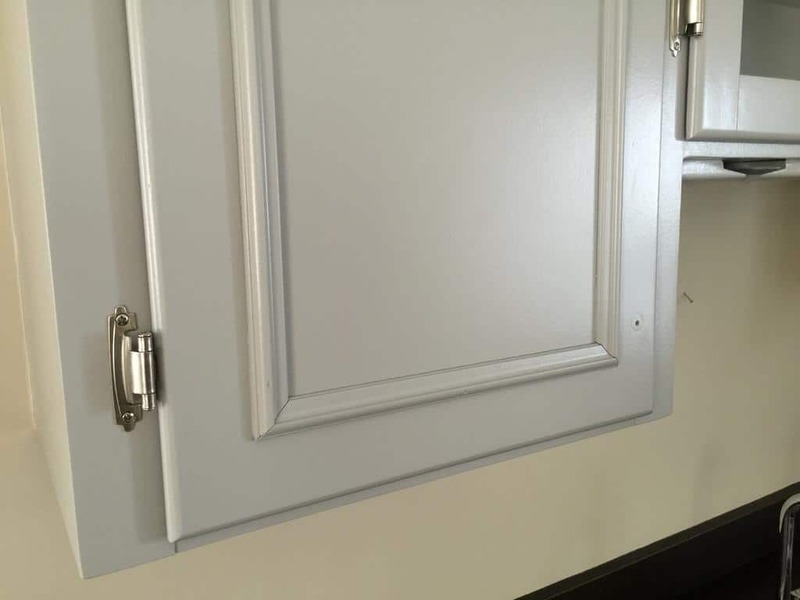 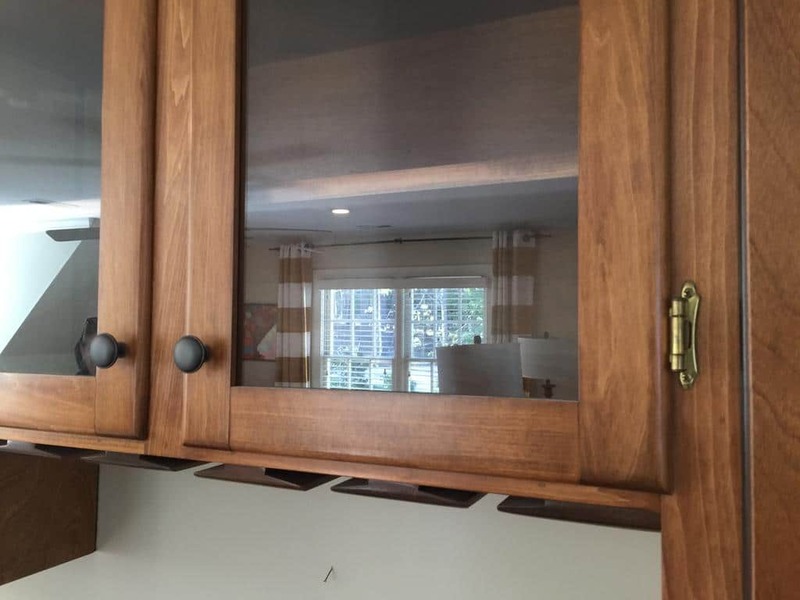 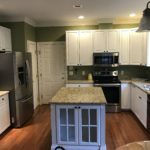 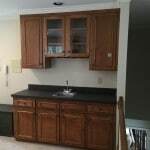 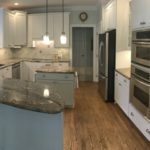 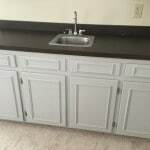 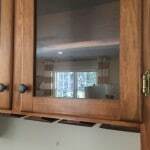 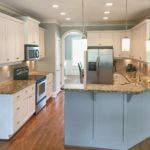 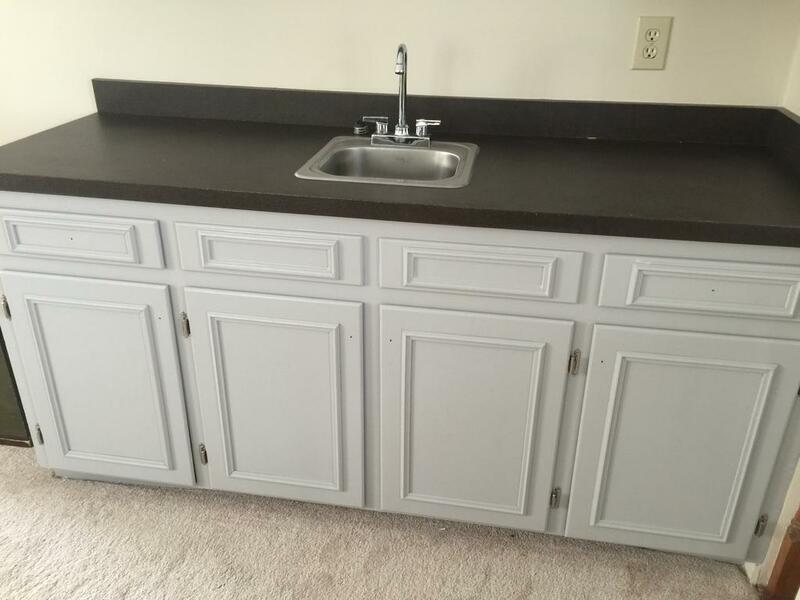 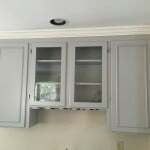 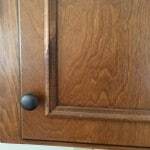 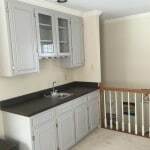 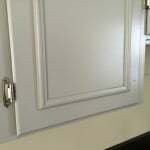 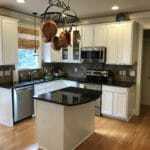 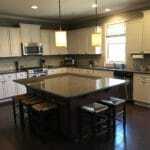 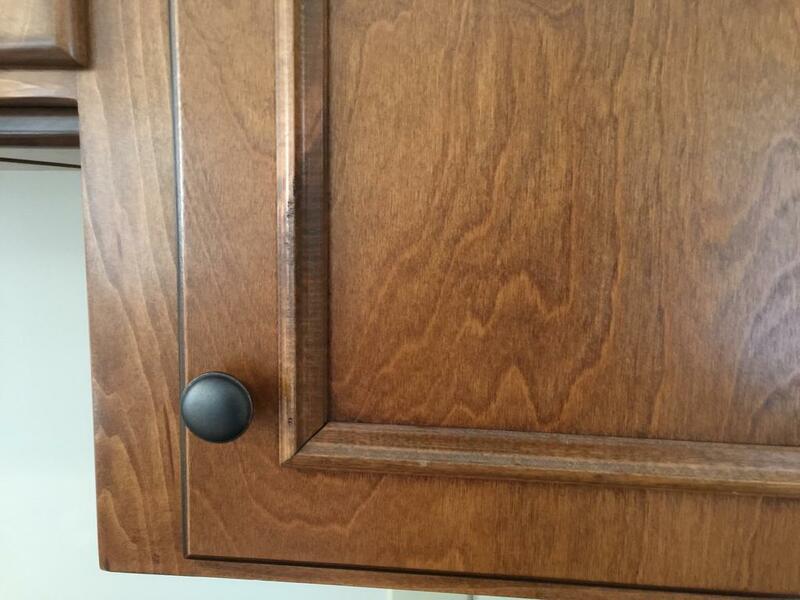 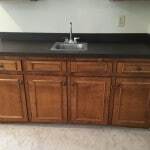 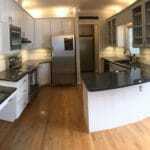 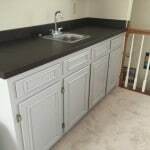 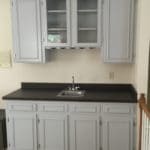 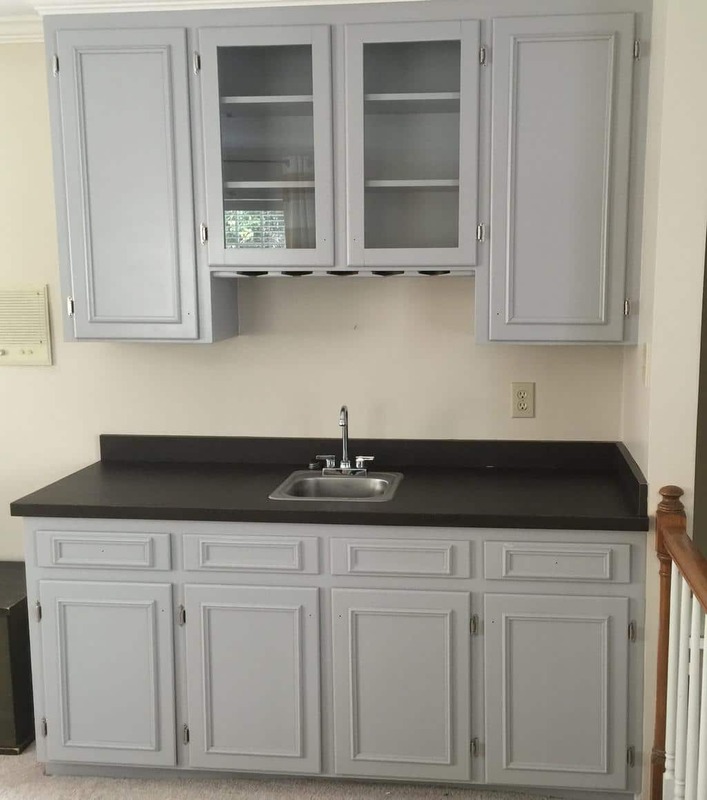 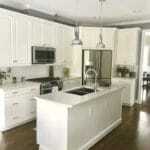 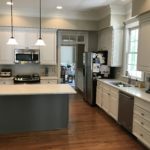 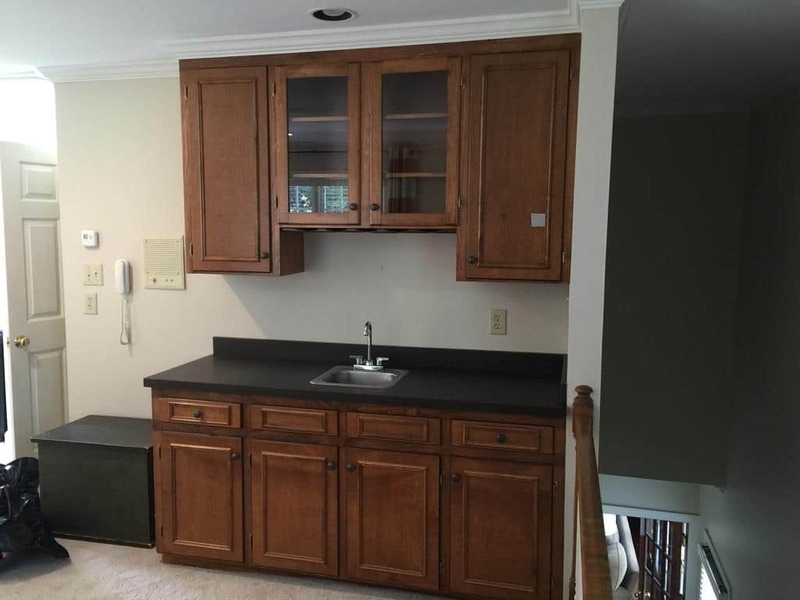 Once the door handles and new counter top are installed by the homeowner we will update with new pictures.